The thought of truffles can be quite exciting and mysterious due to the rarity of it, only coming out in the autumn season in Italy. 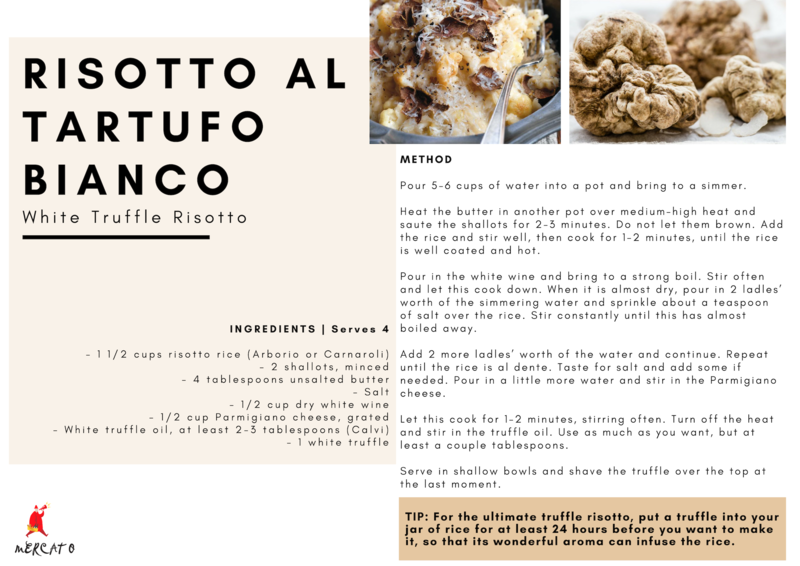 Every year in the Piedmont town of Alba, Italy, is the annual tartufi festival where truffles are celebrated and sold. The Alba White Truffle Festival, which takes place on weekends throughout October, features local cuisine, wine sampling, a donkey race, and several other family-friendly activities and events. Restaurants showcase their delicious truffle recipes and the towns folks are filled with joy. However, in saying this, truffles have quite an un pleasant stench to them. One would say they smell like feet, or human sweat! How off-putting, I know. The first time someone tastes a truffle, they often find it quite disappointing, because usually they have heard so much about them and expect so much. What are truffles anyway? Truffles are a wild fungus that grow in the ground however for them to grow in general, the ground must have certain properties. In fact, depending on what kind of soil the truffles grow in also depicts their shape. Smooth truffles grow in soft soil, and the lumpy, knotty truffles come from soil that is more compact. Truffles need to grow near trees as they absorb water, mineral salts and fibres from the soil through the roots of the trees. You can tell whether the truffle has grown close to oak, hazelnut, cherry or willow – the trees the truffle favour – because each tree gives the fungus a slightly different character. They say the harder the tree, for example oak, the more intense the smell of the truffle; so those that grow close to lime trees are lighter in aroma. This is why people, when buying truffles pay close attention to each one, so they can get exactly what they're looking for. Truffles can all come from the same guy in Italy from the same place, yet one will have grown closer to a particular tree than the other, making them all so different from each other. One would say that truffles should only be eaten two to three times a year as tasting a truffle should be a unique and special experience. It is a luxury. The white truffle from Alba Pompeia in Piedmont has become something so famous and symbolic, not only of its own region, but of the entire country. White truffles are best known for their unique and strong flavours, and unpleasant smell. Black truffles do not have the intensity of flavour and smell of the white one. While white truffles smell of all human life, black truffle smell more like damp cellars. Black truffles aren’t as expensive as white truffles therefore people will buy these for cooking at home. but would see white truffles in restaurants to give it that sense of luxury. Truffle oil doesn’t have the same flavour as an actual truffle from the ground however it is used to drizzle over meals. People may prefer it as the flavour isn’t so over powering. Due to the high value of truffle, every little bit is not to be wasted hence why the littlest bits are collected, chopped, crushed and preserved in oil bottles. This preserves their aroma and keeps the flavour powerful. In the old days, they though that truffles were the result of lighting bolts hitting the ground close to the trees, because they were such incredible, in-explicable treasures; and if anyone could find a way of cultivating white truffles, they would make a fortune. If, when you go to buy truffles, you can take off a little skin and look at the inside, you will see the truffle should be light to dark brown. If it is white or off white, it is either not mature enough or it has been found in wet soil and taken in so much water that it has turned white. If you were to keep it in the fridge on a sheet of paper, it would mature a little more. BE AWARE – everything else in your fridge might also smell of truffles, and every day you keep them, they will lose moisture and weight. You can buy truffles already cleaned, but if you need to clean them yourself, put some water in a bowl with an equal quantity of white wine, dip a small, soft brush into it and brush the truffle very lightly, then pat dry. Because the truffle is a unique ingredient, it is used very minimally in dishes. For example, it is usually shaved over a risotto or pasta. In Piedmont restaurants during the season, they serve the traditional dish of Fonduta, which was once the meal of local farmers but is now considered luxury. This dish is Fontina cheese from the Valle d’Aosta heated with milk, egg yolks and butter until it is creamy, then some white truffle is shaved over the top and you can eat it with slices of toasted bread to dip in it. Information derived from Giorgio Locatelli, Made in Italy Food & Stories.